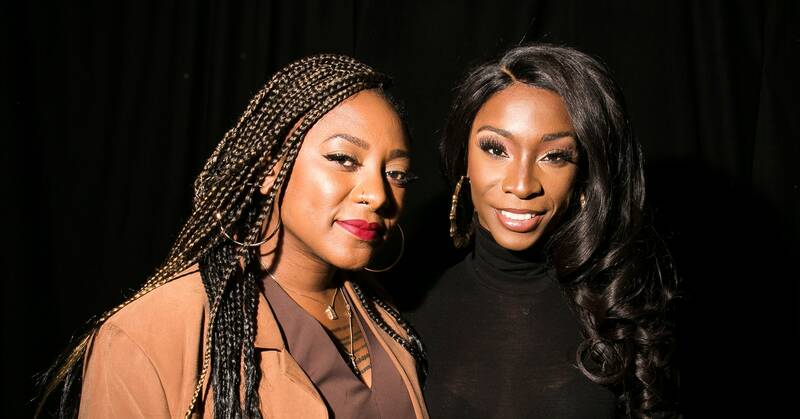 Black Futures Lab principal and #BlackLivesMatter cofounder Alicia Garza (left) and TransTech Social Enterprises founder and Pose actress Angelica Ross were both speakers at this year’s Lesbians Who Tech summit. YouTube CEO Susan Wojcicki (right) takes a selfie with journalist and Recode cofounder Kara Swisher. This was the sixth year of Lesbians Who Tech’s annual summit, and 80 percent of the speakers were queer women, 50 percent were women of color (25 percent black and Latinx), and 15 percent were transgender or gender nonconforming. Staff and volunteers checking in attendees at the Castro Theater for the sixth annual Lesbians Who Tech summit in San Francisco. San Francisco mayor London Breed shaking hands with journalist and Recode cofounder Kara Swisher. This year, the summit’s 6,000 attendees gathered at the Castro Theatre, a historic landmark in San Francisco. Laurene Powell Jobs, founder and president of the Emerson Collective, was a panelist during the second day of the summit. Photographer Samantha Cooper’s favorite part about photographing the summit was capturing all of the little details. Leanne Pittsford is the founder and CEO of Lesbians Who Tech. These “Queer, Inclusive, Badass” koozies were just some of the swag that attendees could get at the Lesbians Who Tech summit. Stacey Abrams is the founder of Fair Fight, an organization advocating for free and fair elections, as well as a former candidate for governor of Georgia. San Francisco mayor London Breed, after her keynote on San Francisco and the tech industry, during the summit’s second day. Ashleigh Shackelford, creator and executive director of the body liberation organization Free Figure Revolution, spoke on grassroots technology, consent culture, and Afrofuturism on the third day of the summit.